Here’s yesterday’s first scene in the fun of the A-to-Z Challenge. “Come in. I was just setting a kettle for tea. What’s up” Judy was used to working. Even on Haven, when Haven was there, she preferred doing for herself as much as she could. She thought all the wishing for things was a killer in disguise. People need work to grow. “At least we know that the guys are okay. Henry says they found the group in the cave. They are all happy and healthy and willing to help.” Judy kept her knitting kit next to her chair. While she waited she knitted. She covered her knees with a light-weight blanket, not for the draft, but to keep the yarn from going everywhere. Everyone in the cave had something made by Judy. They all wore them with pride. Others were now learning to make clothing or playthings. Keeping the hands busy helped them to stay focused on here and now, rather than lost in worry. By the way, my current word-count is: 18,510. Have the planet becomes a human in Haven in 3D Here she is as Ora Ja Ja. My first book, Haven can be found on WattPad. Or the first three chapters, on my site, here. I am gradually bringing the whole thing here. But right now writing Haven in 3D is taking up my time. I have been needing to review one of my other books, Earth the Final Frontier. A lot of the characters from that book are in my current book. Is it wrong that I really like that book? I’m reading it as my night time read and yes, there are things I need to edit, but I am loving the adventure once again. I wish I could bring that excitement to all the books in the series. By the way, Earth the Final Frontier has over 92K so it is taking me many nights of reading. Are there writers in my blogosphere that have a way to keep track of all the characters, where they’ve been what we left them doing, quirks, etc? I do have yWriter to keep track. I have an Excel spreadsheet but my eyes have troubles with looking at it. I almost think I need to write it all on a wall. Wish I had one I could use like that. I know before I publish these I will have to make a character list to go at the beginning or end of each book so no one gets lost. 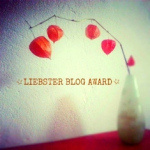 Something like this would be wonderful! 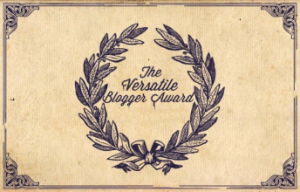 I didn’t realize it was Wednesday until I had already put the below in this blog. Suddenly a small female dressed in an ivory colored gown, looking every inch the monarch, held up an ice cream cone and invited all to the cafeteria for the most important party of the decade. Dusty had never seen leprechauns move so fast as when food was announced. She had to hide her giggles. As in the last time she visited these delightful people, she shrank to their height and was immediately immersed in the ice cream social. Dusty made inquiries as to the health and well-being of her friends since she’d seen them last. It was then that she told them of the item that drew her here. She was the instrument of high importance. Haven was in dire need. Did she have their assurance that they could help? The above was written a couple of days ago. Seems I am ahead of the game on one level! But just because we get Sundays off for A2Z doesn’t mean I don’t need 1,666 words a day for my CampNaNo goal of 50K. Just FYI I have 15,628. By the end of the day, I should have 16,660 words. So I still need over a thousand words before midnight tonight. 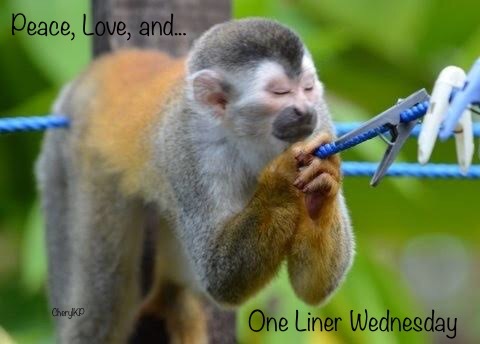 One-Liner Wednesdays are Linda G. Hill’s challenge click here. 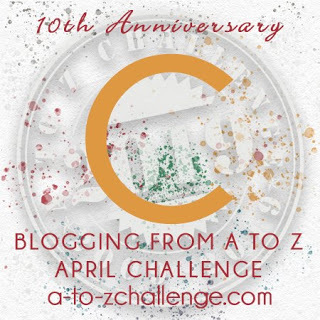 To learn about the A-to-Z Challenge click here. 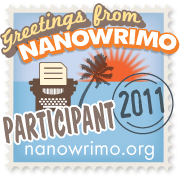 For NaNoWriMo or CampNaNo click the hyperlink of each word. How are you all doing on your own challenges? As they gathered, Ora was torn. She wanted to hide but how would being dead help her and this planet or Haven? They heard a buzzing. It looked like a toy helicopter hovering above. Then it flew away. “That was them counting us. That thing has a camera.” Henrietta explained. Ora was going to ask a question when she heard a noise that didn’t fit the scene. It sounded like someone knocking. That’s when she woke up. That was the first scene I wrote yesterday. I thought the A2Z was a daily thing, but I learned that we get Sundays off. The good of that is I’m a day ahead in the A2zs. BUT, the problem for me is that CampNaNo takes no days off without getting behind in the count. If you don’t write at least 1,666 words a day you will find it hard to catch up. I know people that seem to be able to do the catching up easily. But for me, it is pure torture. Even today, I’m having trouble with the next part of the story because I’ve forgotten much of what this section is based on in my book, Earth the Final Frontier. I’m making a lot of callbacks to the friends I created. I wrote it five or six years ago. But I forgot who knows and who isn’t there. So I better get back to re-reading and furious writing. Ahead, yet behind. Sounds like a timey-wimey thing to me. By the way, at my latest count, I have 13,691. Today I should end on 14.994 but I will try to push to 15,000. And I need to do my languages on Duolingo. Grabbing my coat and hat, see ya later! Milo and Zella took Ora to meet the new administrator the next day. That was how he met her at his door. His greeting was pleasant enough. He made the grand gourmet gesture but the gloom in his eyes as he glared from Milo to Zella proved he still held a grudge against the ones he thought to cause the uprising. A guard stood nearby with a gun in his gloved hand. The two had gotten his goat more than a few times since. They could see him grind his teeth. His goal seemed apparent that he would prefer the death of these two. Yet he seemed to like the new person they had brought him. In general, he thought of himself as a good person. He had nothing to gain by killing anyone. But he’d grown up here. He was genetically guaranteed to inherit this position. And wasn’t that what this whole experiment was all about? The best, most pure humans. Not gutter rats like these and their crazy offspring. They should all be sent out to graze in the meadows like the other beasts. “You may call me George. George Goodman. And it is customary to meet our new members with sustenance. We know that many have been scattered out through the wilderness and need food before they could possibly be the useful citizen needed in this society. Those were the first few paragraphs in today’s CampNaNo writing. 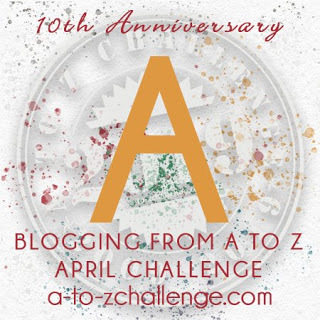 As my plan to follow as best I can the A-to-Z blogging and try for 50,000 words during the month of April. At last count, I have 10,343 I need 11,662 before the end of the day. Sometimes I cheat and include blogs and reviews and journals to pad the count. Often those things help and I can move them into parts of yWriter that don’t end in the count as soon as I have more story words. I don’t really consider it cheating as the point of this is the writing and writing as fast as you can without editing at the moment. You can go back and take care of big obvious spelling or grammar (will that count as a G word?) errors but it is best to lock the editor in a cell and at the end of the month or even later let him out for good. This month the story made me join the Camp folks and it promised it had the words. So as the gullible ghostwriter for Haven‘s newest story (Haven in 3D–not available yet) I relinquish control and just type. (Seems once I get started I can’t stop on some letters. Not looking forward to X). If any of this sounds like fun for you, any of the underlined weblinks or even the pictures will take you to the places to get started. Now back to writing furiously! How’s that! Bam! Covered it all! (See what I did there? Leftover B with current C.) The above is the first line I wrote today. One-Liner Wednesday is one of Linda G. Hill’s gems. 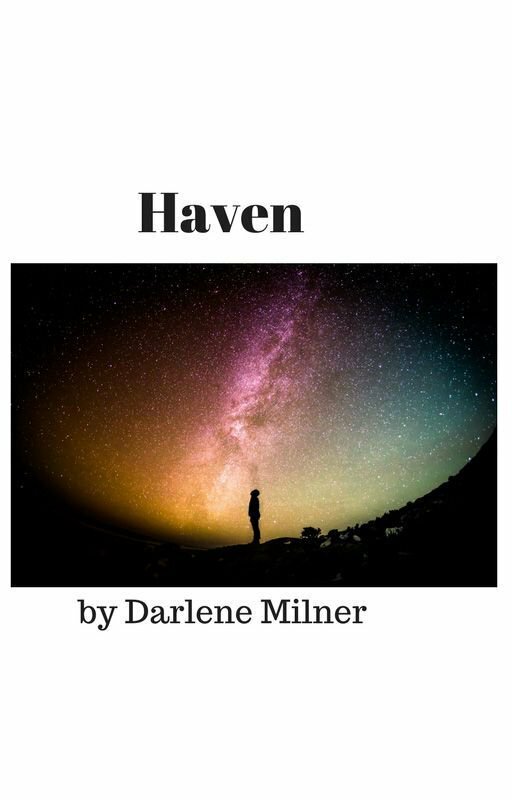 It is in my series that starts with Haven my first novel doing NaNoWriMo. 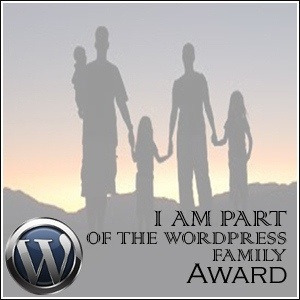 I’m mostly using yWriter to get me going. Enough commercials? How’s your day? I better get busy lots of errands before I can write! Here are a few lines of the 2,281 words I manage today. 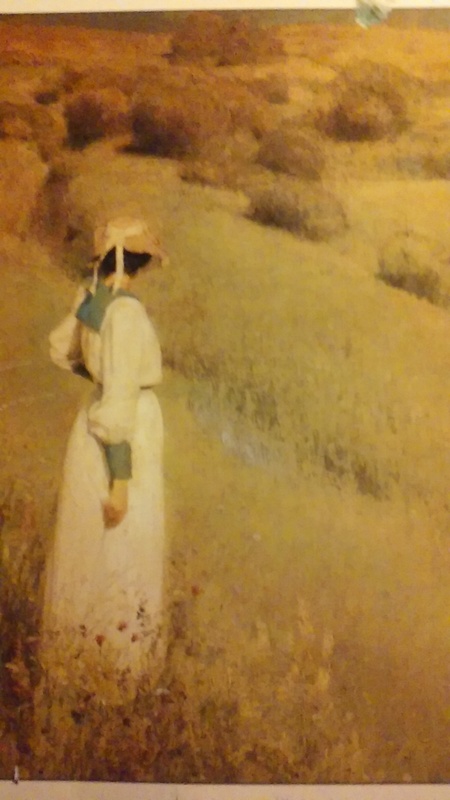 A woman is standing looking back over a hill, dressed in a long white dress with green trim, a straw hat with a pink ribbon around the brim, dark brown hair pinned up and peaking out under the hat. She stands right arm facing the observers, left arm crooked on the other side. 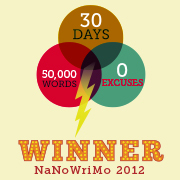 I did make the commitment to doing 50,000 words this month in CampNaNo. I have to admit that it is going very well. The story is telling itself. The planet Haven is finding hard to be human. A lot of her power is gone. At the same time, she is learning humility. Ever tried to get into a planet’s mind? Not so easy! I’m not sure I am doing it right. 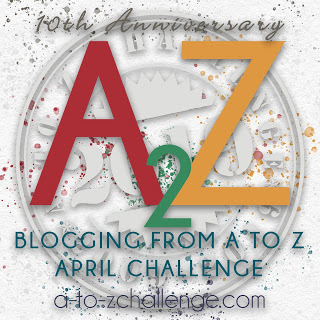 Go to the A to Z by clicking here. 50, 422 and still need to write an ending. Then editing! LOTS of editing!